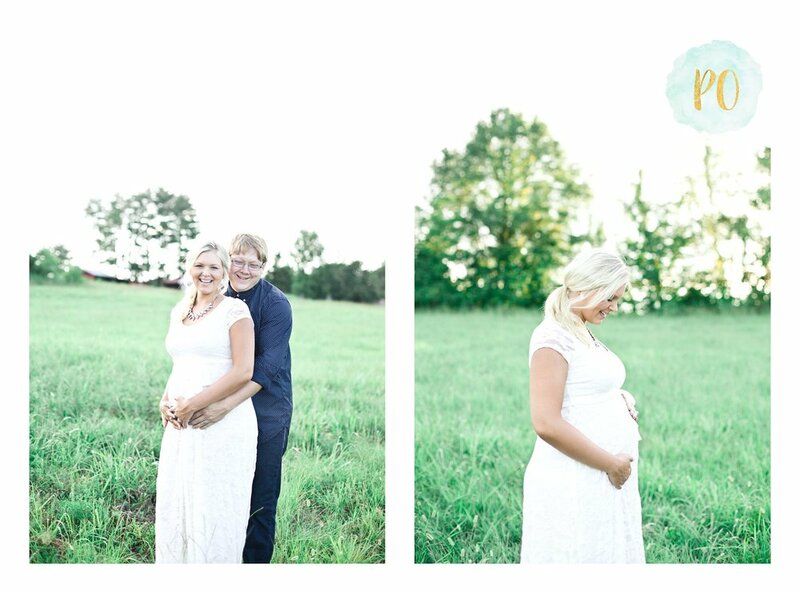 Emory and Hannah are a bride and groom that dreams are made of. Their Greer, SC wedding at Grace Hall was intimate and just a precious as they are. Blush bridesmaid dresses, old downtown homes, vintage car, and a dance hall. Can't get much better than that! Hannah is a soft-spoken, gorgeous social worker and Emory is a strong, dapper Air Force crew chief. They come together as a couple, they are unstoppable. I watched throughout the wedding day that Emory rarely took his eyes off his bride. (I mean, who could blame him!) He held her hand and helped her down every step. He didn't look like they have had to spend so much time separated during their engagement. He looked like he was with her every day. I am pretty sure that during the first look, I have never seen a man so ready to see his bride. He really wasn't happy that I had him wait until we had Hannah in the perfect location. It took me too long! Haha He wanted to see her IMMEDIATELY. But, that anticipation made the union all the more sweet! I feel like I always get teary-eyed during first looks. They are an incredible display of what two people have been pining for. From the old Ford Galaxy parked outside the Davenport House to the sparkler exit, every piece of their wedding day fit them. It was such an honor to photograph two gorgeous people who are gorgeously in love. I pray you keep Jesus first, serve each other even when you don't feel like it, and keep looking at each other like you did on your wedding day. Just let that love grow even deeper. I just can't wait to see the beauty that comes from your marriage! This could be a gorgeous grouping in their home don't you think? To view their wedding slideshow, click below! Thank you for allowing me the privilege of walking this journey with you!